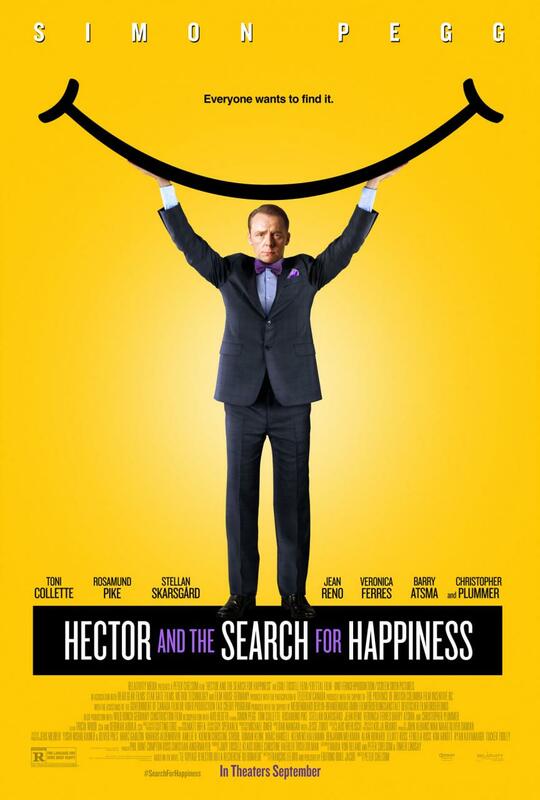 It’s impossible for me to talk about this movie without comparing it to The Secret Life of Walter Mitty, which is unfortunate, because Hector loses every time. Although it’s a perfectly fine movie about a man locked into his normal life finding broader purpose and encouragement through travel so that the can return home more appreciative of what he has, it’s….just not great. Partly I was annoyed because one of the very first things Hector does on his search for international happiness is sleep with a woman other than his girlfriend. I wanted to throw myself around, moaning, “UGH men, is this SERIOUSLY their first impulse?” But primarily, it just felt like it was missing the gentle magic of Walter Mitty (although I REALLY liked the scene when he’s first flying away from home bedecked in every article of travel clothing imaginable). I adore Kristen Wiig in dramatic comedies, and Welcome to Me continues her pattern of slipping into complex roles of mentally disabled women who feel both fascinatingly strange and oddly normal. Alice Klieg has borderline personality disorder, one of the more difficult disorders to describe and understand (at least for me in my Abnormal Psychology class). The movie should be shown to all budding psychologists and counselors; Wiig portrays the emotional manipulation, narcissism, and mood swings with subtlety but honestly. Not to say this is a made-for-school movie. I LOVED it, and I loved that Alice’s disorder is clearly shown as something that needs medication and counseling to manage, but without ever devaluing Alice herself as a person with desires, relationships, and fears. I loved it. 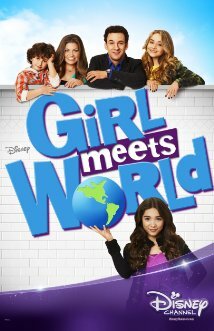 I waited until Girl Meets World was on Netflix, because I knew I would enjoy it more en masse, rather than waiting week to week. Although the first episode felt a little heavy handed (Paraphrased Cory: I already met the world. Now it’s your world), I quickly found that it was a fun show to watch while getting ready in the morning. Just entertaining and sweet enough to start my day, but not so involved that I needed to…think. The one thing I actively disliked was, like all Disney shows, the hair and fashion of our leading ladies (and occasionally gentlemen). They dress like adults, their hair is uniformly long and perfectly curled, and it always makes me mad. What are real 10-year-olds supposed to think when watching this show? Ugh. Anyway, I had fun watching the first 8 episodes, and someday I may watch more, but…I got sidetracked by Scandal as my go-to TV show. 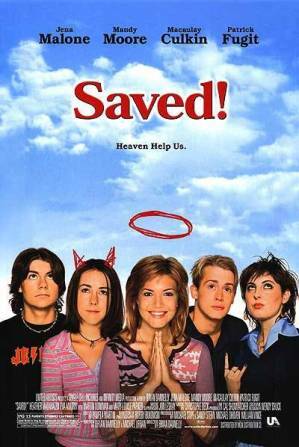 This parody of conservative Christian youth culture was a hilarious reminder of my own time in youth group–especially because when Saved! came out, I refused to watch it because I thought it was heretical, or at the least rude. Now that I’m less trigger-happy, I find the movie absolutely hilarious and uplifting. The scene at the end, with an unwed teen mother, a widow, a disabled boy, a Jewish girl, and a gay couple gathered together to love and support each other, confident that Jesus loves them and that life is confusing, WAS SO GOOD. Thank God for movies that tear down the ridiculousness of Christianity and instead portray its heart. I can’t believe I let this movie slide under my radar all this time! 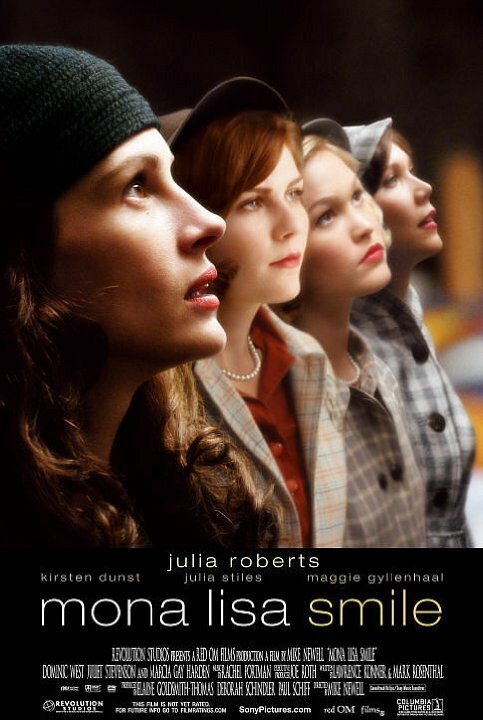 Feminism and art history are two of my favorite things, and having them packaged in a beautiful period piece with lots of complex women played by talented actresses is nothing short of perfect. This is the female-led Dead Poets Society, and it’s just as good at inspiring and creating discussion. I loved every character, watching entitled white women struggle with gender roles and smiling through the rigidity of their assigned life. Or not! I loved that Mona Lisa Smile never veered into extremism, insisting all women need to pursue education and career before love. Instead, we see that women should have the right to choose whatever path they desire–whether that’s a law degree or a marriage and a family. This is the movie of my heart. This has been on my radar for a long time, but I knew if I got involved, I would be sucked into the show. I wasn’t sure I was ready for that, at least not until I read an Entertainment Weekly article about Shonda Rhimes. I love How to Get Away with Murder, and I finally admitted that what I need in my life is another strong, intelligent black woman ruling my TV world. Olivia Pope lives up to her reputation (both on and off screen), and I have fallen deeply in love with this show. The team of fixers are great individually and better together, the politics are scarce and the drama is high (just how I like it), and the show deals with culturally relevant (and controversial) topics, which is super fun for me. This show definitely lives up to its hype.